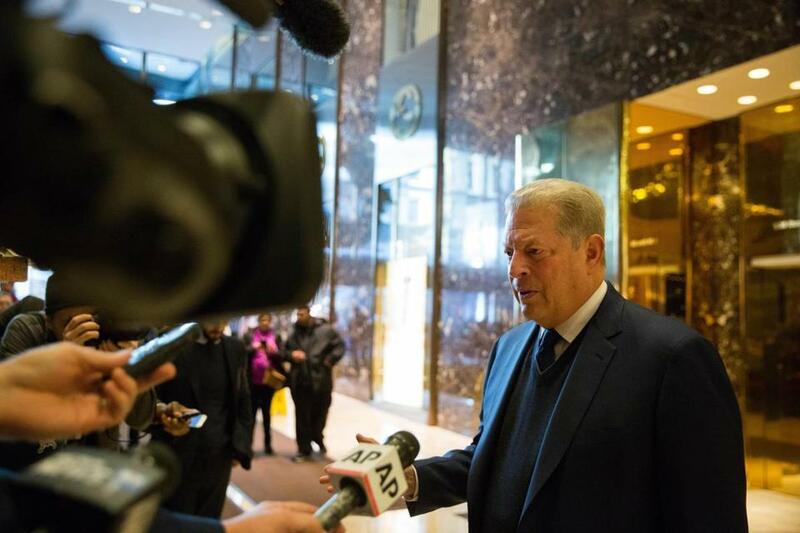 Al Gore spoke to the media after meeting with President-elect Donald Trump. You might have thrown up your hands and declared that you had seen it all in 2016. But you had not. 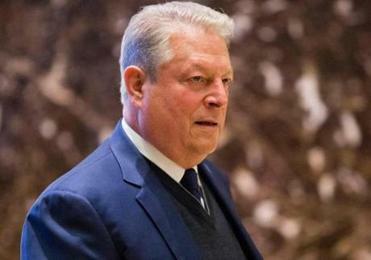 On Monday, inside Trump Tower, former vice president Al Gore confirmed he met with President-elect Donald Trump and his daughter, Ivanka Trump, to discuss climate change. “The bulk of the time was with the president-elect, Donald Trump. I found it an extremely interesting conversation, and to be continued,” Gore told reporters afterward. 1. That the meeting happened at all. Could there be two more different people than Gore and Trump? Gore is a US senator’s son and a longtime member of the political establishment who is driven by a cause for which he once won the Nobel Peace Prize. Then there is Trump, who has raged against the political establishment and is more often driven by his own personal branding and celebrity. The former vice president, a leading activist in the fight against climate change, said most of the time was spent with the president-elect. Gore is a Democrat who has become increasingly progressive in recent decades, while Trump is a Republican who has taken on more conservative rhetoric during the same time period. But after the election, Gore offered Trump an olive branch of sorts. Apparently Trump took Gore up on that offer — at least to talk. 2. Clinton-world is probably not happy about this, but what else is new? The Clinton-Gore relationship has been complicated ever since the VP ran for president in 2000. In that campaign, Gore ran so far away from President Clinton that he picked a running mate who publically rebuked him during his impeachment trial. Also awkward: Gore ran for the White House while Hillary Clinton was seeking a US senate seat in New York, creating competition between the two for donors. Fast forward eight years, and Gore largely stayed out of the Clinton-Obama primary until the very end, when he endorsed Obama. In 2016, Gore did not endorse Clinton as the Democratic nominee until the very end — well after it was clear she would win the primary. So, after all this history, the fact that Gore would meet with Clinton’s rival for the White House must be making a few eyeballs roll in Clinton-world. Again. 3. Trump might be open to changing his tune on climate change. If Trump has his mind made up on the issue, why would he meet with the nation’s most prominent climate change activist who holds a different view? What if Gore got involved in the administration. either formally or informally? How would Trump’s core supporters interpret that? What if Trump used climate change as a way to needle China and be a world leader? Maybe the craziest thing of 2016 has yet to happen. James Pindell can be reached at james.pindell@globe.com. Follow him on Twitter @jamespindell, or subscribe to his Ground Game newsletter on politics: www.bostonglobe.com/groundgame.